You know how you can talk crap about your family, but if someone else does, it's totally not okay? That's kind of how I feel about everything I'm about to say. See... 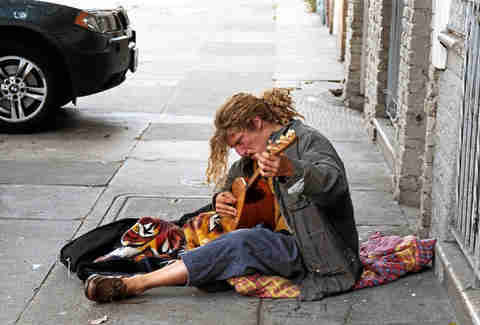 I've lived in the Upper Haight since 2006. 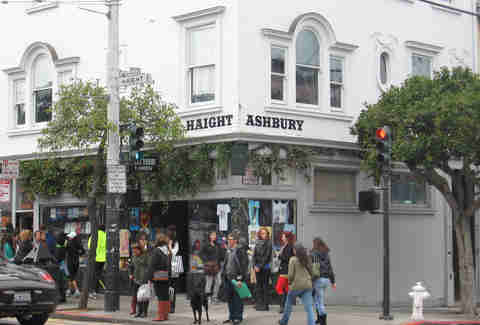 And I've been going to Haight St since I was a teenager. And sure, maybe that's not nearly as long as a bunch of other people who live in the 'hood, but it's long enough for me to know that where I was once enamored with the street, I now pretty much can't stand it. Don't get me wrong -- there are a lot of great things about the Upper Haight: Magnolia, Alembic, Amoeba Records, Aub Zam Zam, Murio's Trophy Room, Hobson's Choice, Best of Thai Noodle, Off the Grid, The Booksmith, Second Act... I love all of those spots and wish I could regularly patronize them. 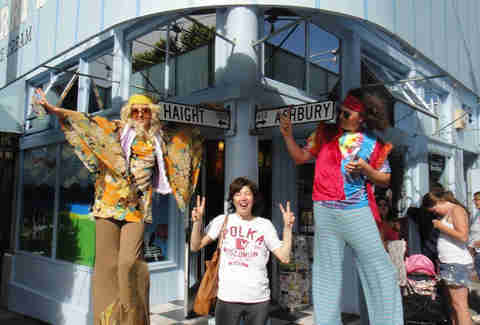 Unfortunately, in order to get to any of them, I have to actually set foot on Haight St. Which, I've recently realized, is just not something I want to do anymore. Clearly, I love Ben & Jerry’s. 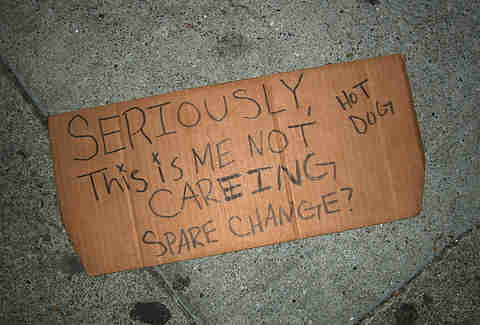 I mean, you don’t get to this level of jaded without having a pint or two in the freezer at all times. Nothing says bitter and lonely like eating ice cream out of a container into which you’re also crying. 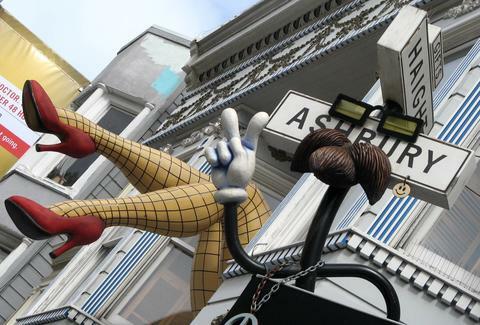 So now that I’ve cleared that up, let me just say that the fact that a mass chain lives on the famous corner of Haight and Ashbury and has even implemented a let's-take-a-picture-here replica of the street signs just bugs me. I don’t have a good reason why -- other than that it’s cheesy -- people who are going to walk along the street in rows of threes shouldn’t also be able to do so while licking a cone of Cherry Garcia. I guess I should just be happy GAP didn't survive across the street. But... no. 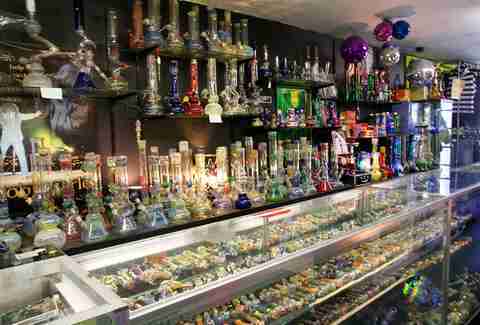 HOW MANY BONGS DOES ONE PERSON NEED? No seriously, that’s a real question. Please answer in the comments, because I don’t understand how eight bazillion shops that all sell the exact same thing ("tobacco pipes" and "whipped cream canisters") manage to stay in business. Yes, it’s locally owned and has been around for over 30 years and is technically everything I'm supposed to love about SF, including delicious sandwiches and fresh produce or whatever, but I just can’t bring myself to shop in an insanely crowded hipster co-op market that offers 400 varieties of dried fruits and nuts -- a small bag of which would barely satisfy a hungry squirrel, but costs more than a cup of Blue Bottle coffee, which, OF COURSE, they also sell there. Don’t get me wrong, I love dropping $67 on a bottle of wine and a tiny wedge of cheese more than the next gal (no, no I do not), but WTF. 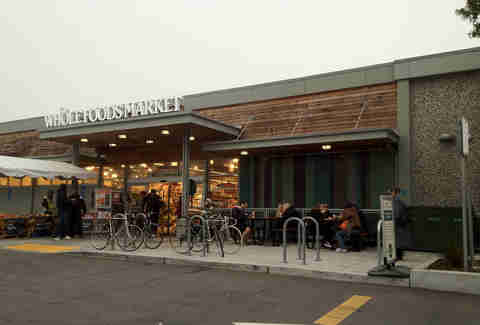 Whole Foods? 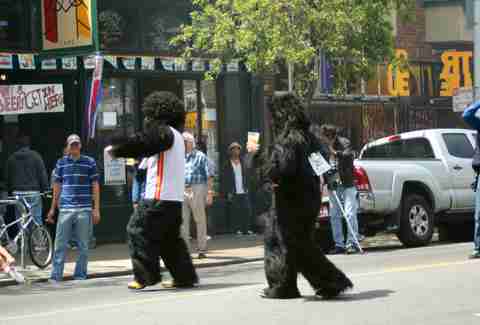 ON HAIGHT STREET? Yes, I know I should like it because I’m more or less a total yuppie, but I just can’t. I miss the Cala Foods where they sold jugs of Carlo Rossi that I never ever purchased until I was well over 21. 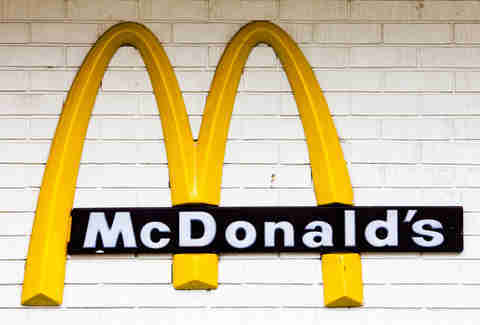 Not gonna lie; I have fond memories of this McDonald’s, as it was definitely a high school meet-up spot where we’d smoke cigarettes and figure out what the plan for the night was. But now it’s 2014. And there’s still a gigantic fast-food joint on the corner across from Whole Foods and Golden Gate Park. In San Francisco? It makes no sense. Which is maybe my overall problem with Haight St... or maybe I’m just mad that I gave up McDonald’s in 1999 and still secretly dream about the fries. Fine. Probably it’s just that. 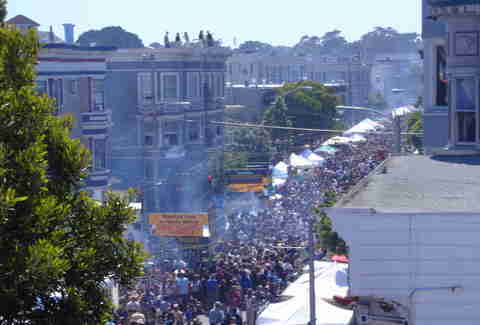 Have you ever tried to drive down Haight St on a weekend? It’s like a game of Frogger, except worse, because you’re the car and all the frogs are TERRIBLE at the game. This event is everything that is wrong with the world in one six-block stretch. Crappy bands, generic food vendors, sloppy drinkers, and worst of all: I can hear it from my bedroom even when the windows are closed. Yes, this is all about me. I love a good pig, and not just butchered and fried up in a pan, but seriously, why are there so many puppies and kittens and, yes, even tiny little pigs living on Haight St? And when's the last time that pig got his vaccinations? 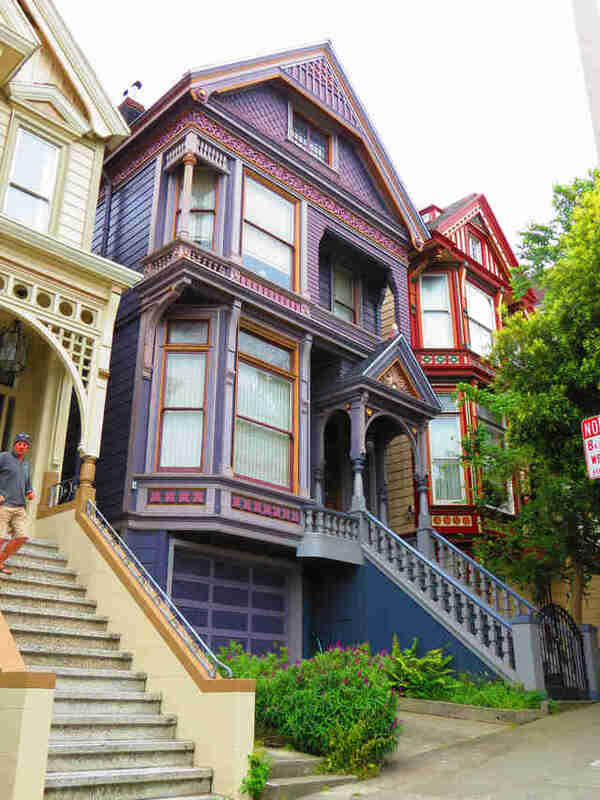 When I was a teenager, Haight St represented everything in life that, until then, I'd never believed I could ever have: freedom, autonomy, spontaneity, a free-spirited personality (which was actually carefully crafted, but whatever, you get the point). My friends and I wandered the streets with the feeling that anything could happen. That adventure was certain. 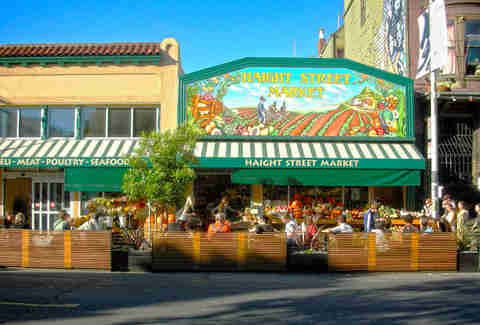 Now, Haight St just feels cheesy, commercial, and sometimes a little unsafe. Maybe it's the same as it always was and I'm the one who's changed, but whatever the reason, the magic is gone. I guess I just have to hope that's not the case for everyone. And also that none of you recognize me when, despite proclaiming that I'm through with Haight St, I do so from the comfort of one its many great watering holes. What? A girl needs a stiff drink after a tough breakup. Daisy Barringer is Thrillist’s SF Editor and she bought her very first "tobacco" pipe on Haight St. 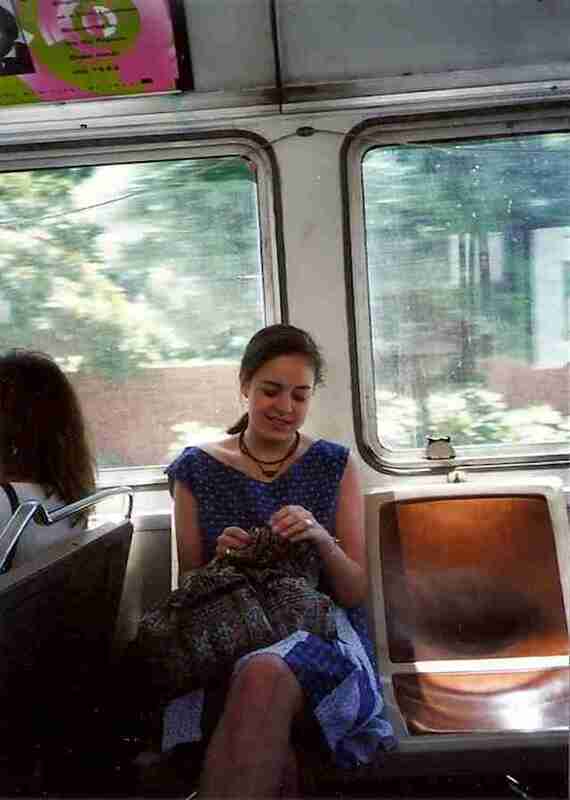 It played a prominent role in why she was eventually sent to a reform school in Utah. Follow her on Twitter @daisy.